Also known as kemenyan or kemayan. Malaysian trade statistics use the term gum benjamin. In Thailand it is known as kamyan or kumyan and in Lao Peoples Democratic Republic it is called kam nhan, nyan or yan. SKU: BB254. Category: Gums & Resins. Tags: anti oxidant, antiseptic, astringent, Benzaldehyde, benzoic acid, cinnamic acid, fixative, gum, incense, perfume, resin, styrene, urinary antiseptic, vanillic acid. Benzoin Gum is from a tree native to South-East Asia. 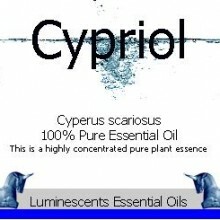 Its trunk exudes a gum well known for its strong astringent and antiseptic action. 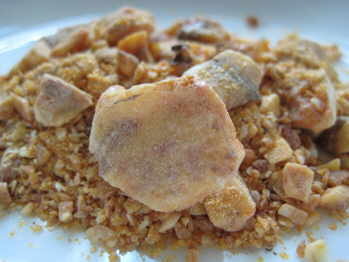 Benzoin Gum, also sometimes called Gum Benjamin, is gelatinous when wet, and forms small, hard, water-soluble granules when dried, called crystals. For this reason it is used externally to fight tissue inflammation and disinfection of wounds. When taken internally, benzoin gum acts to settle griping pain, to stimulate coughing, and to disinfect the urinary tract. Benzoin Gum has anti-oxidative properties and is a natural preservative in skin care preparations. 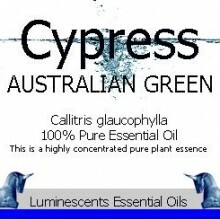 This makes it very good for use in creams & ointments and to prevent the oxidisation of essential oils in a blend. 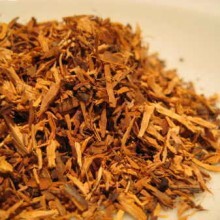 Primarily, Benzoin is used for incense  it has a sweet-balsamic odour with a distinct vanilla note. 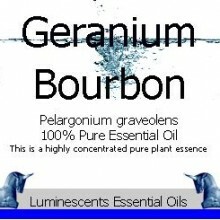 Benzoin is also an excellent choice to use as a fixative in perfumes as it holds onto the lighter notes. 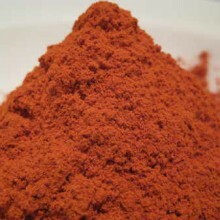 Active constituents are Benzaldehyde, benzoic acid, cinnamic acid, styrene, and vanillic acid. 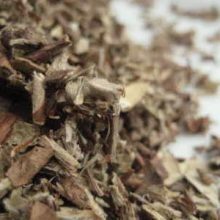 The resin is formed when when the tree, at least 7 years old, is axed and after a period of time the tree yields the liquid Benzoin. After it has run for a time, the tree is cut down and gutted for the remaining resin. Benzoin Siam (This Product) is obtained from Styrax tonkinensis, found across Thailand, Laos, Cambodia, and Vietnam. 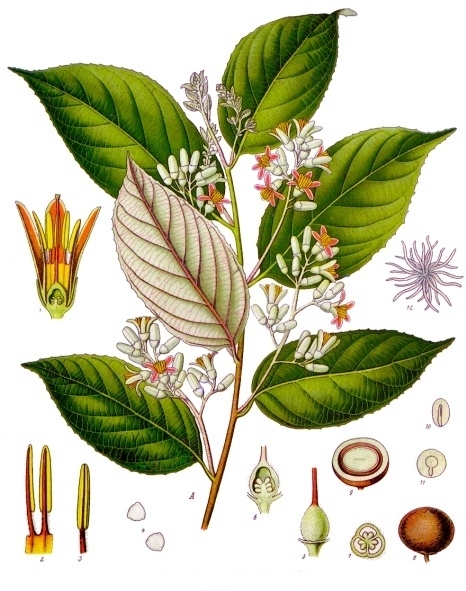 Benzoin Sumatra is obtained from Styrax benzoin, which grows predominantly on the island of Sumatra in Indonesia. Unlike Siamese Benzoin, Sumatran Benzoin contains cinnamic acid in addition to benzoic acid. 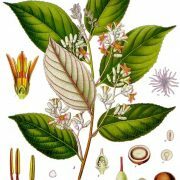 In the United States, Sumatra benzoin (Styrax benzoin and Styrax paralleoneurus) is more customarily used in pharmaceutical preparations. 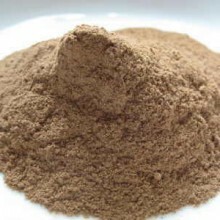 in Indonesia Benzoin is known as kemenyan. In Indonesian trade statistics, however, benzoin is misleadingly called frankincense, a term usually applied to the resinous exudate from Boswellia spp. of Arabia and Africa. It is possible that this use of the term frankincense derives from benzoin of Indonesian origin that was traded by the Arabs, who regarded it as a form of frankincense, at least 700 years ago. 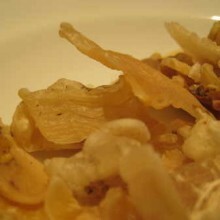 In Malaysia, benzoin is also called kemenyan or kemayan. Malaysian trade statistics use the term gum benjamin. In Thailand it is known as kamyan or kumyan and in Lao Peoples Democratic Republic it is called kam nhan, nyan or yan.